This Wooden Essential Oil Organizer Case is on sale for $46.95 with FREE Shipping today! This unfinished wooden box with removal dividers is the perfect place to store your essential oils! 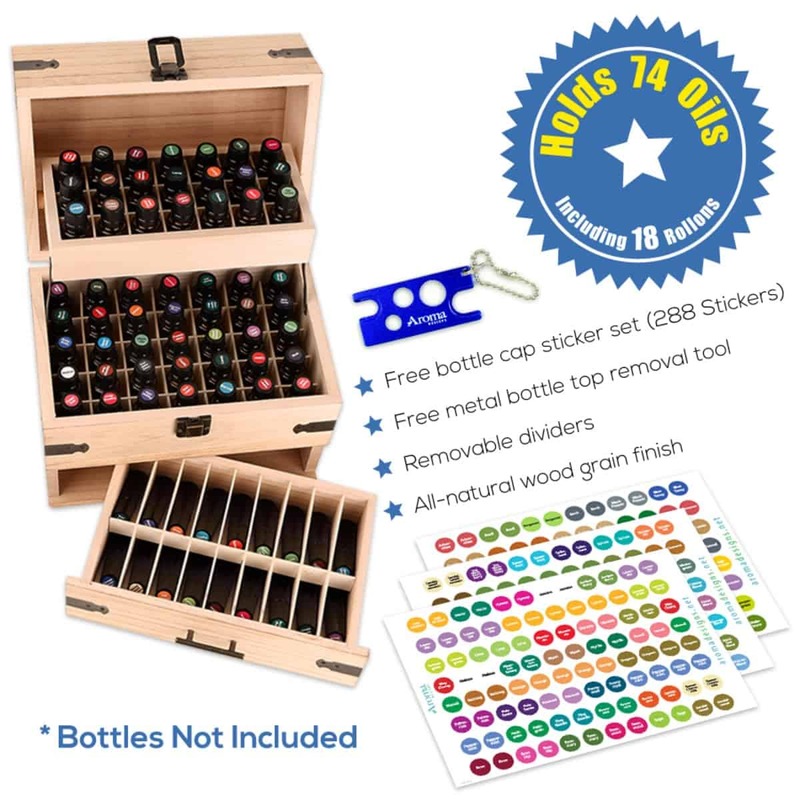 288 essential oil stickers and a bottle top removal tool. The box looks good just about anywhere, including on a dresser, in the kitchen, on the bathroom sink, and numerous other places. It also works great as a display case for presentations. If you need to take it with you, this elegant box will hold your oils snug and safe while you travel. 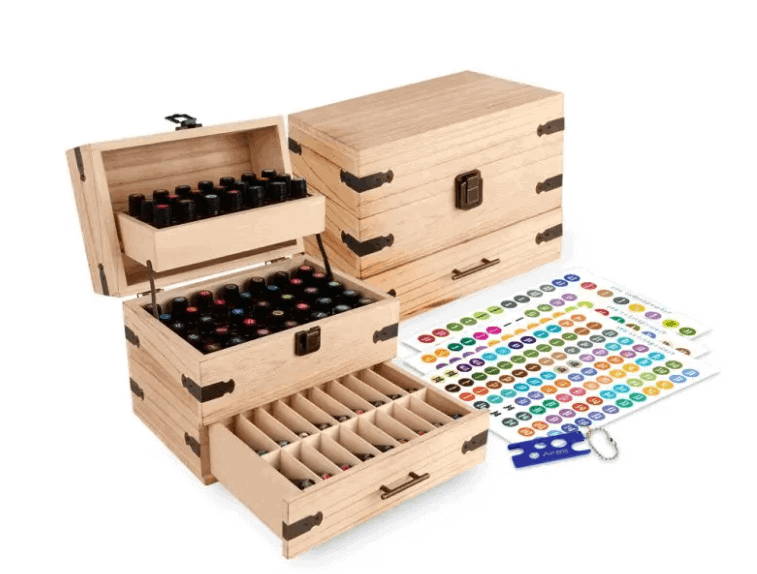 This wooden box is custom-made to hold 74 essential oil bottles – 56 5-15ml essential oil bottles and 18 roll-on bottles – is lightweight and compact, and is great for protecting your essential oils from damaging sunlight. The top pivot tray opens to display your favorite 21 oils, while the middle stationary tray can be pulled open for easy access to an additional 35 bottles of essential oils. This box has Removable Dividers in case you want to store larger items such as vitamins or creams. Choose either the sleek grainy wood look, or the less grainy wood look that allows you to stain or paint your box. There are the essential oils that I personally use and recommend.